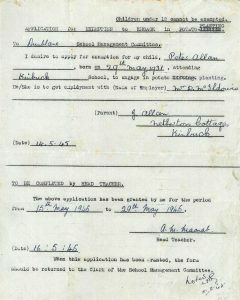 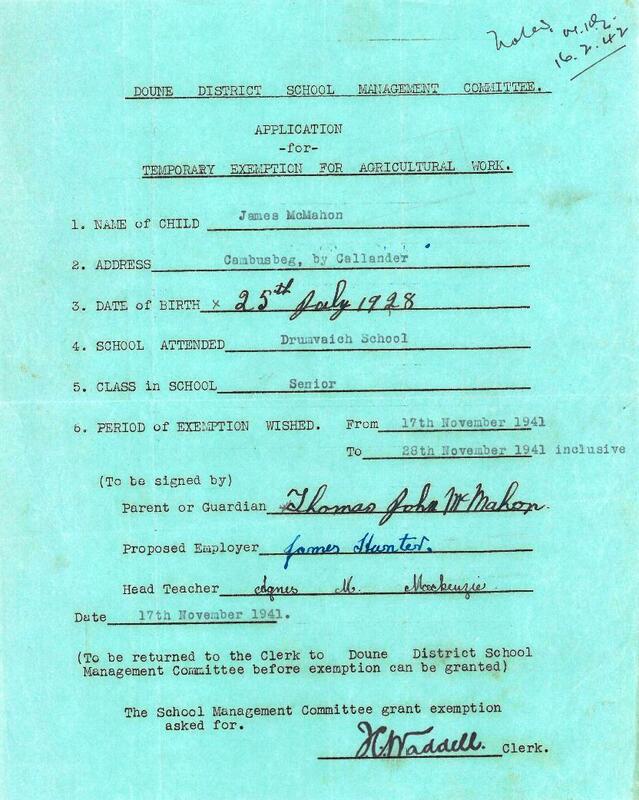 In rural communities, it was standard for the education authority be it the local School Board or later, the Education Committee, to allow students time away from school to undertake agricultural labour in order to help in the fields when labour intensive jobs such as potato planting and lifting needed to be done. 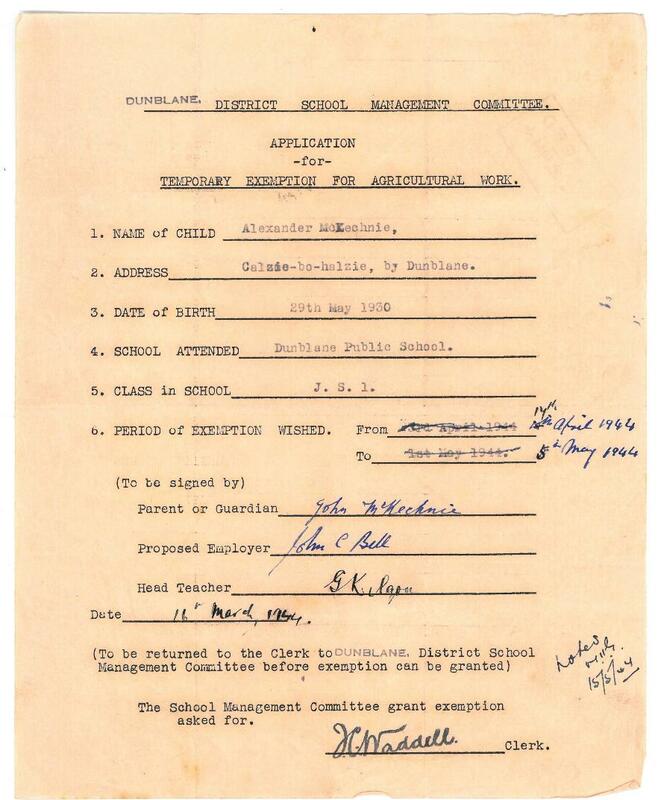 In some areas time off to lift the main potato crop in the autumn was known as the ‘Potato’ or ‘Tattie’ Holiday. 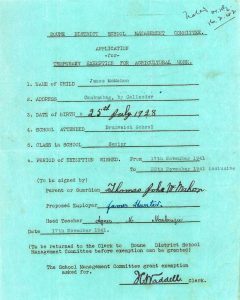 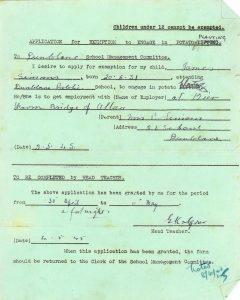 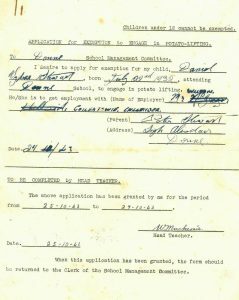 These applications for students to be given periods of time off school for potato planting in the spring and lifting in the autumn are held by the Archives as part of the Perth County Council collection of records. 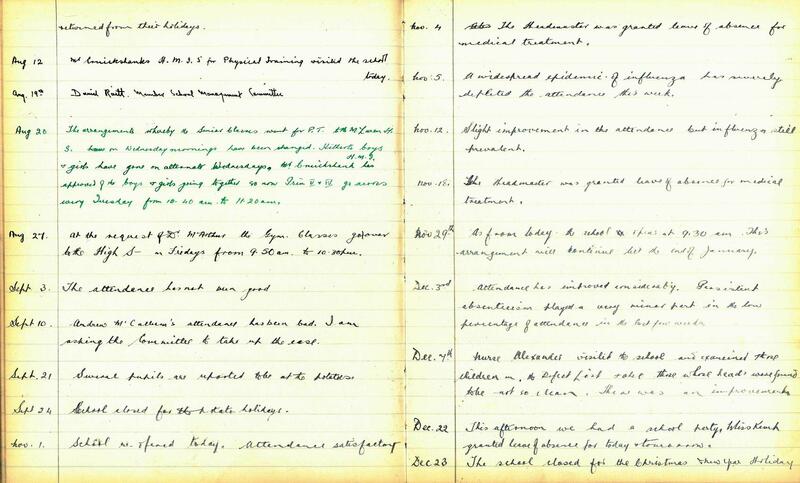 Pupil absence to undertake agricultural labour is also noted in the school log books. 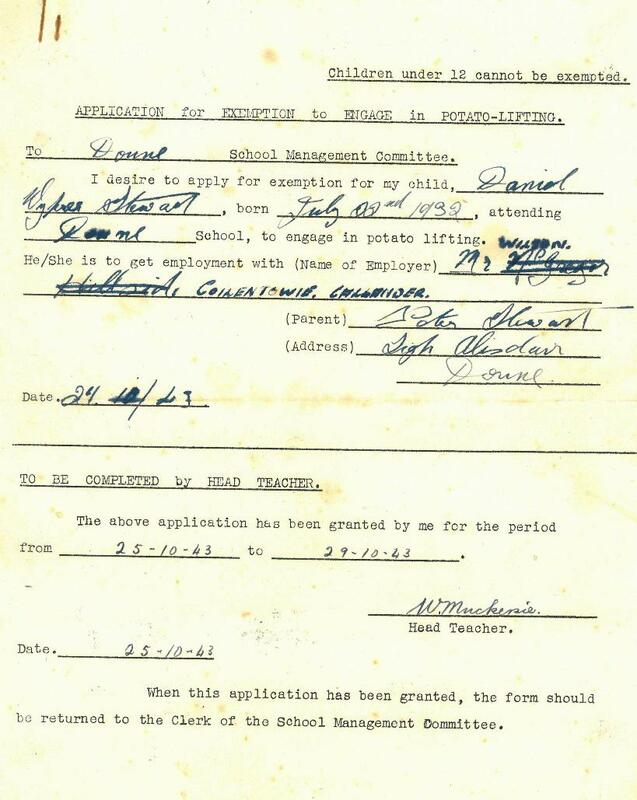 Food production was particularly important in wartime. 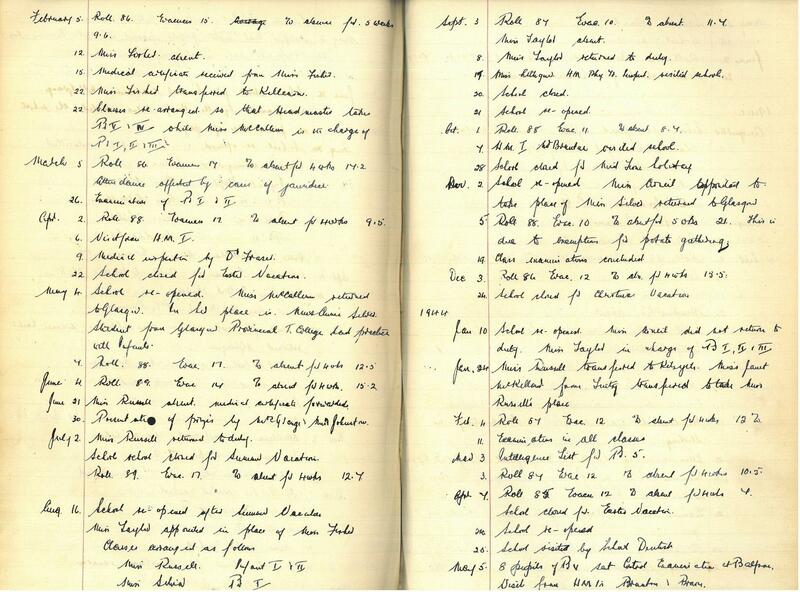 This log book for Strathblane Primary School indicates that many pupils were absent during the potato harvest in the autumn of 1943. 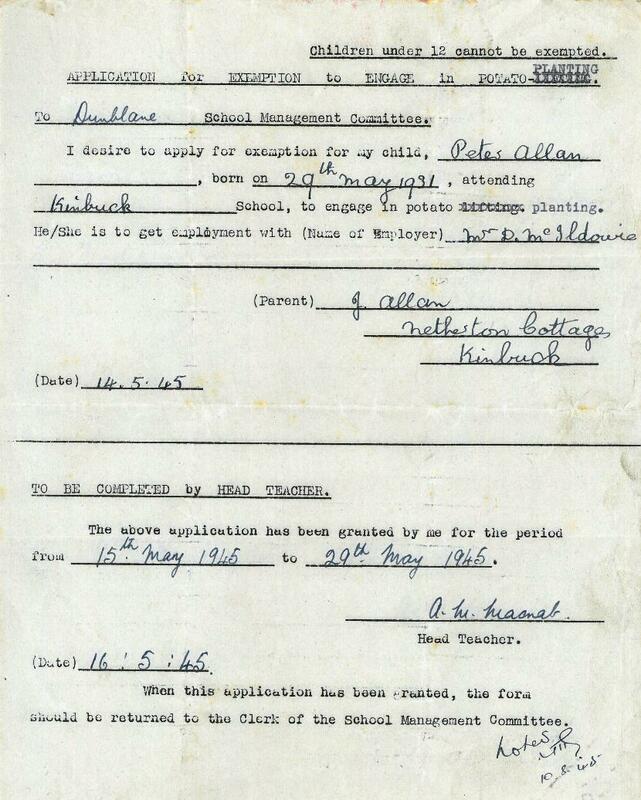 You can also see that the Head Teacher kept a note of the number of evacuees attending the school at this time. 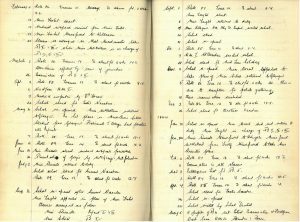 This school log from Callander Primary School specifically mentions the school being closed for the ‘potato holidays’ in September 1943. 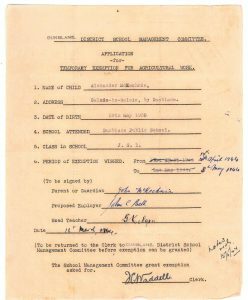 Shortly after this, in November, school attendance is reduced considerably by an outbreak of ‘flu. 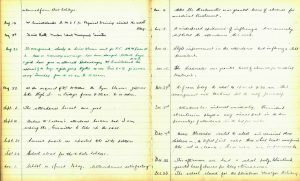 Before antiobiotics were routinely available, illness amongst children was rife and was always reported in the school logs. 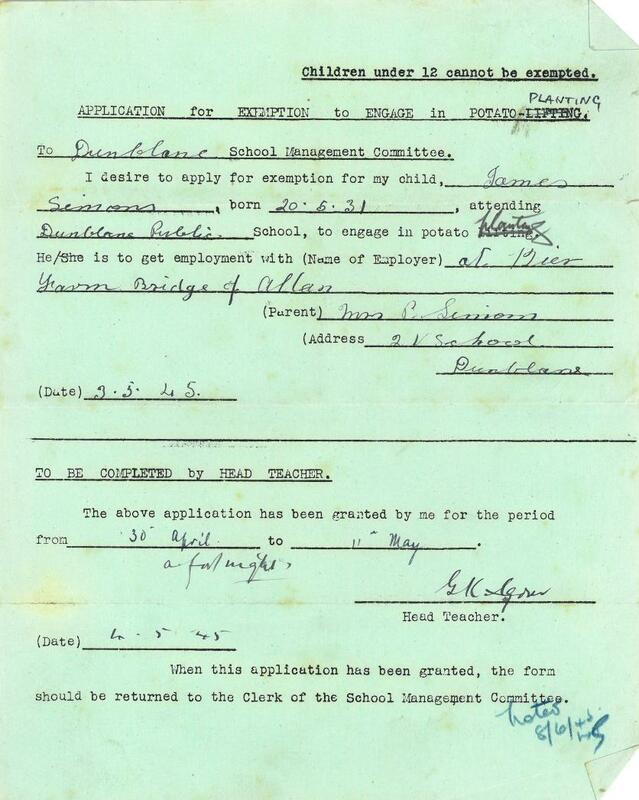 Even though children no longer work in the fields as potato gatherers, schools still have a week’s holiday in October, which may be a hang-over from this practice.